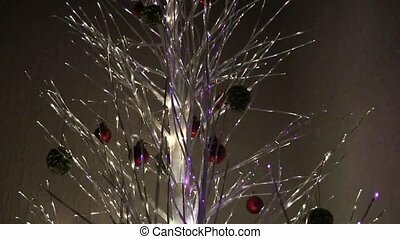 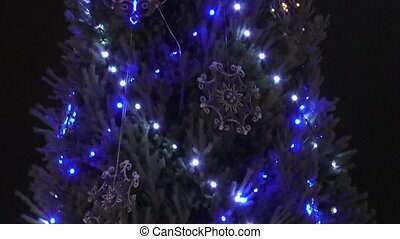 Christmas tree lights and ornaments. 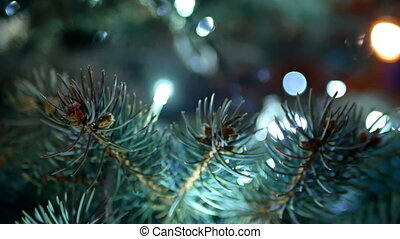 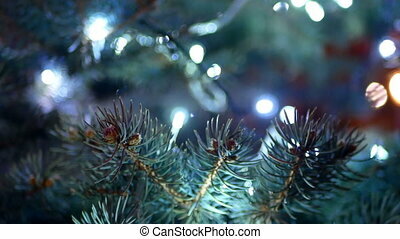 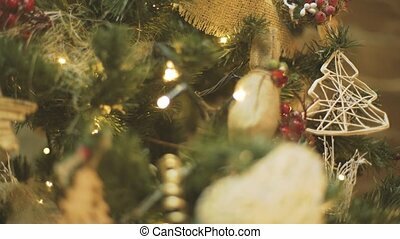 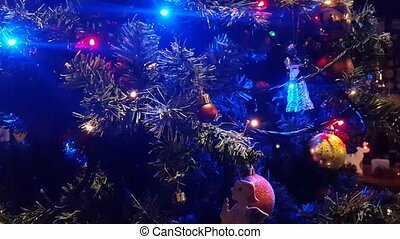 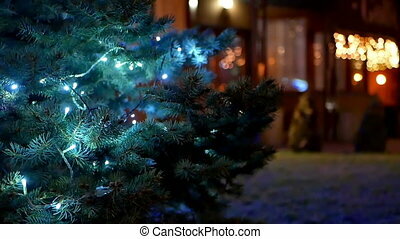 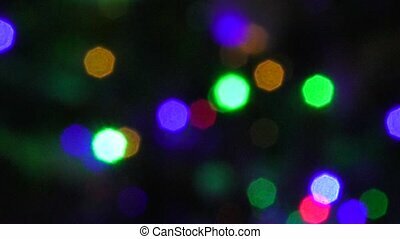 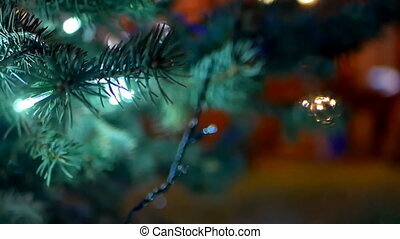 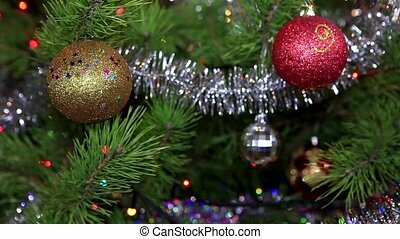 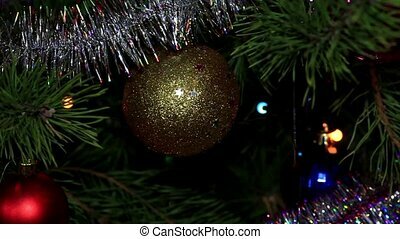 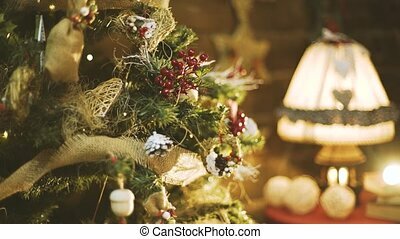 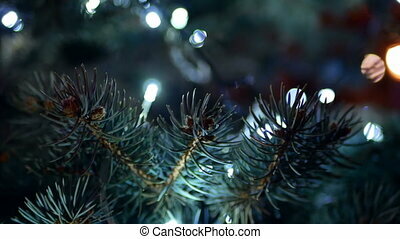 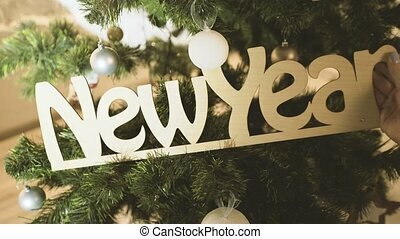 Christmas tree lights with hanging ornaments bokeh background 1080p. 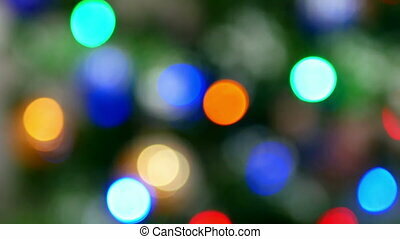 Christmas tree with blending multi colour lights.